When it comes to running a medical practice, you want it to thrive and grow. And the best way to do that is by creating a 12 month budget. When you have a budget for your medical practice and you stick to it and revise it on a yearly basis, you can increase your chances of success and profitability. Without a budget, productivity and patient satisfaction would suffer. Other problems you could face include embezzlement, supply waste, making inappropriate purchases, and not having enough savings to improve your practice. Here, we look at eight ways to create a budget for your medical supplies (e.g. a phone, stethoscope or filing cabinet) to help you drive your medical business forward. The people who you should assign to create the budget are those responsible for buying the medical supplies for your practice. These can include you (the doctor-owner), other doctors and/or the office manager. You might not know how many microbiology supplies, for example, you’ll need in a certain year but you can have a look at how much you used in the previous year and then come up with an estimate of the amount you may need in the following year. The type and amount of medical supplies you need will also depend on the requirements of the medical supply purchaser, e.g. doctor. So take into account what both you and other staff members need in order to run your medical practice smoothly and efficiently. If you’re going to add new services to your practice, such as physical therapy and fitness classes, also make sure to include in your budget the medical supplies required to operate these services. Make a list of your medical practice’s sources of revenue, from biggest to smallest. For example, your two main sources of revenue could be from your physical therapy and fitness classes services. Then break these down into smaller revenue sources. Physical therapy can be broken down into orthopaedics and paediatrics, while fitness classes can be broken down into strength training and weight management. Have a look at which sources earn your practice more money and then consider buying more medical supplies or saving up more money for new supplies for those sources. Write down what your fixed and variable expenses are. For example, your variable expenses could include clinical supplies, whereas your fixed expenses could include office supplies. Next, subtract your expenses from your revenues to come up with your net income. If you find that you’re spending more than you earn or that your expenses are higher than your forecasts, you could consider cutting back on some of the less important medical supplies. When listing your expenses in a chart of accounts, make sure they’re specific to your practice and are detailed as possible so that other staff members and a tax accountant can extract relevant information easily. In a chart of accounts, your main expense categories may include “general expenses, “associates and ancillaries expenses” and “doctor-owner discretionary expenses”. 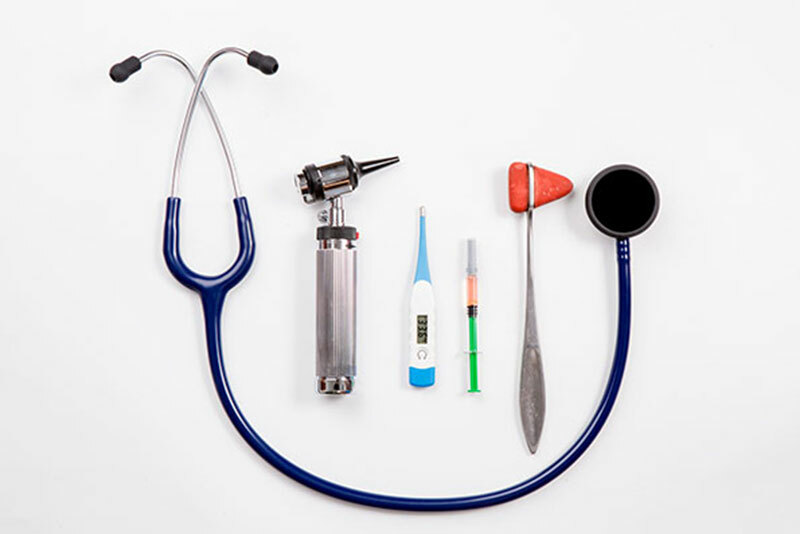 Medical supplies and equipment will go under “medical supplies” and “medical equipment” and can be further broken down into subcategories, e.g. equipment lease payments, equipment maintenance and repairs, clinical supplies, office supplies, telephone/answering service/pager, and so on. If your medical practice is a group practice, for example, you could consider adding categories that’ll allow you to individually track supplies by doctor. Moreover, to spot theft or embezzlement in your chart of accounts, avoid combining two different categories together, such as clinical supplies and office supplies. Finally, calculate the total cost of your medical supplies so you know how much money you should set aside for this category. Obtain national medical practice overhead statistics for all expense categories in your chart of accounts and then adjust those benchmarks to fit your practice. For example, adjustments may be required for higher supply costs if your medical practice is located in a rural area or it has a lab or an X-ray machine. One way is to use health information technology such as electronic health records and practice management systems. These can help you with reducing claim denials, making clinical encounters quicker and generating revenue faster. You could also research different sellers of medical supplies and equipment and consider choosing or switching to one that’ll save your practice money. Creating an effective budget for your medical practice is crucial if you want it to be successful, so if you need professional assistance, MEDIQ Financial can help you. Make an online enquiry today or call us at 1300 063 347 and see how we can help you start your budget and increase your practice profitability. You might also want to read our “ Strategic Business Tips for Running a Medical Practice” to help you get started on running a smooth medical business operation.